The tobaccos we have selected for Fred Special Blend contain less nicotine than those present in the Original Blend variant. We have developed this product in close cooperation with cannabis experts, seeking a tobacco which would let the full aroma of weed expand. We have then selected special Virginia style tobaccos from South Korea to complement our traditional blend and reduce its sugar content. Selecting the proper Burley was also a chalenge as it gives the “body” of the taste: usually big companies do not care too much about it as it is there to absorb the casing and flavoring agents; we have found in Uruguay the perfect variety adding distinctive “nutty” notes without harshness. 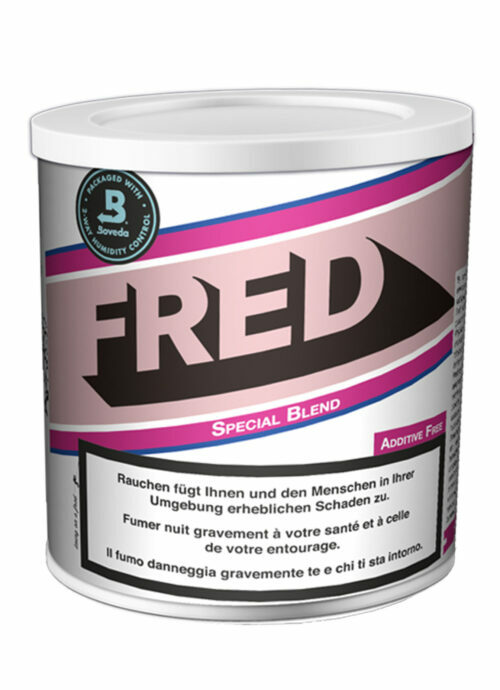 Fred Special Blend is the perfect tobacco for smokers looking for a balanced and compelling taste.